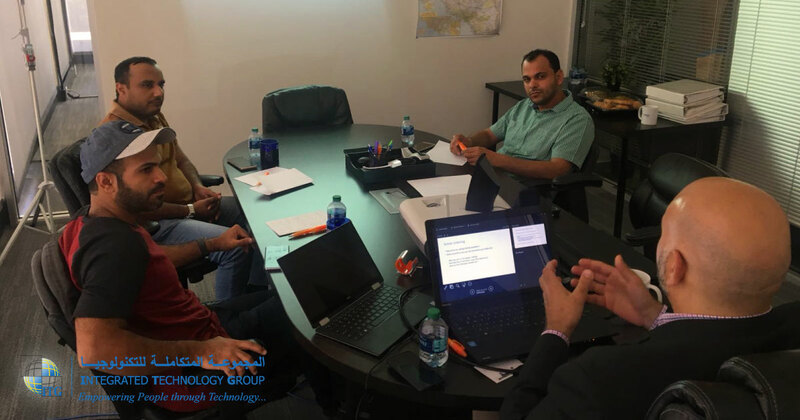 Based on Integrated Technology Group (ITG) vast and unique professional experience in the international business and markets; a training under the topic of: “Project Management Professionals (PMP)” is being conducted for two days in a row, taking place at ITG AMERICA LLC offices at San Jose, California by one of ITG’s specialized trainers. 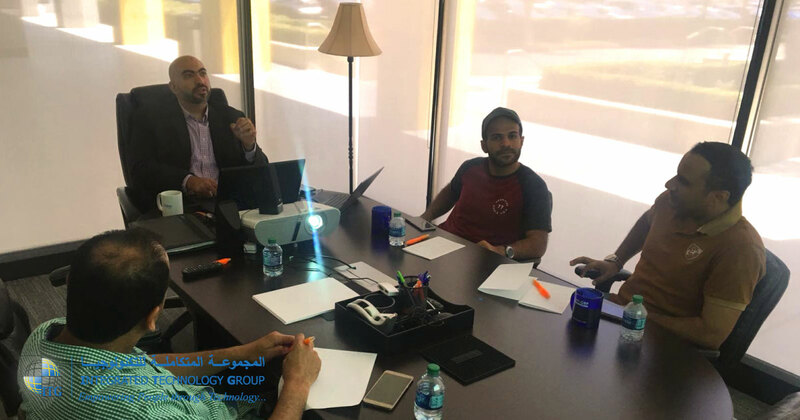 Military Technological College (MTC) team from Sultanate Oman are attending ITG PMP training; that will build real capacity within the trainees and will empower them with knowledge and expertise needed to manage and run their projects. 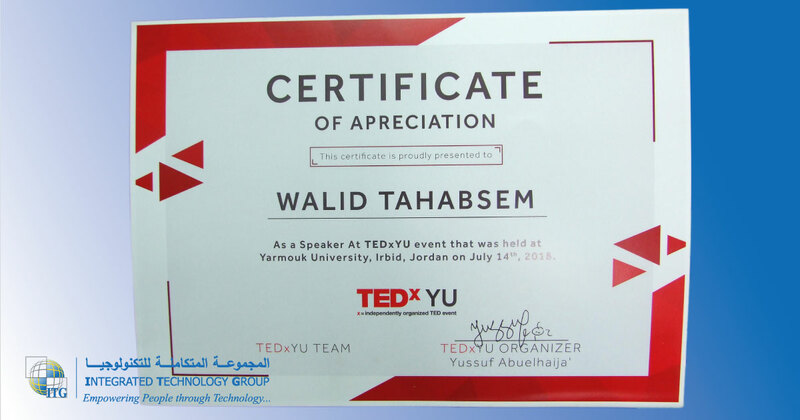 We congratulate our President & CEO, Mr. Walid Tahabsem, for his participation in TEDxYU and for his inspiring talk about entrepreneurship. 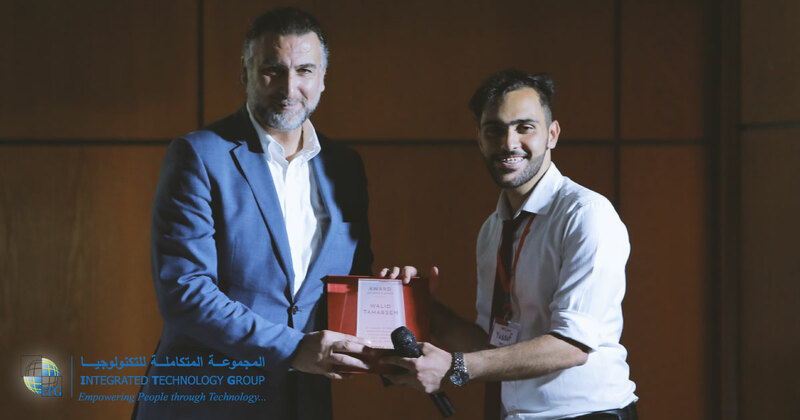 In his speech, Mr. Tahabsem presented advices on how to grow a fruitful business, the qualities, and skills needed for success, how to handle it, and how to stay focused. 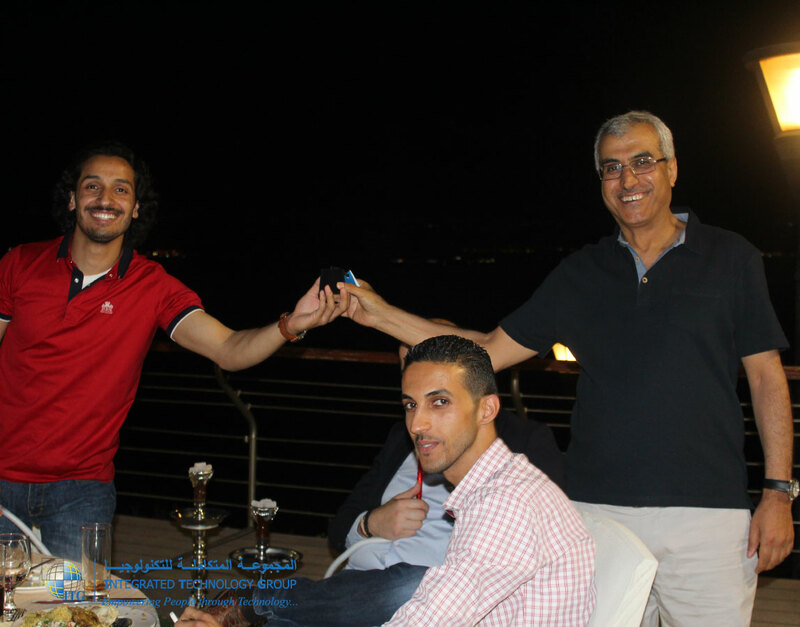 The marvelous talk was really inspiring to the audience in general and to entrepreneurs in specific. 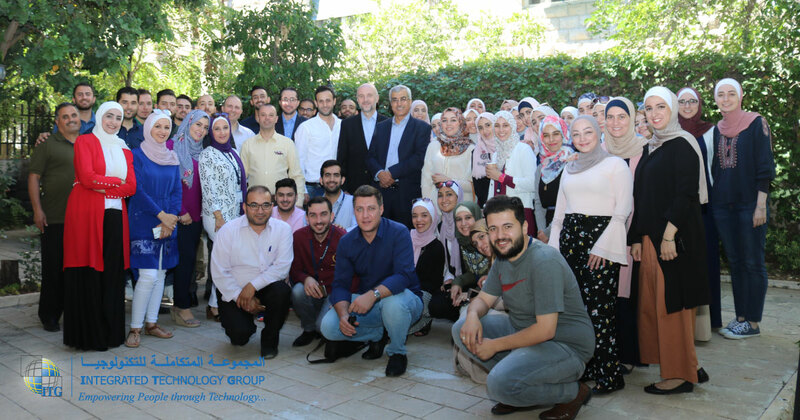 Integrated Technology Group (ITG) celebrated Eid Al Fitr through an employees gathering organized by its social committee. 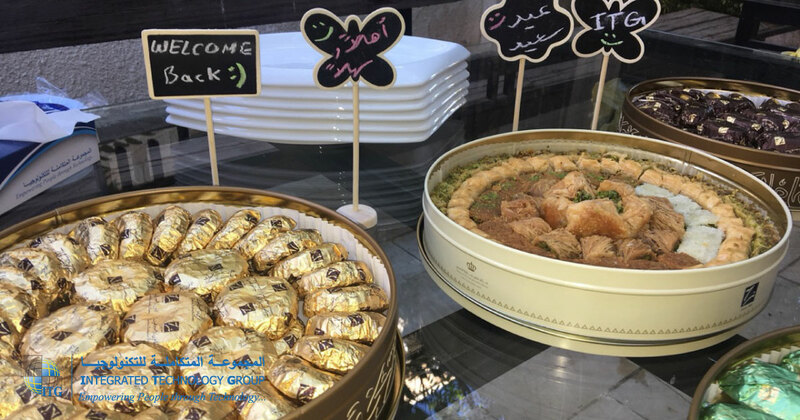 The joyful celebration started with a special speech by ITG Vice President; Mr. Ali Al Sadi who wished a happy Eid to the company’s employees followed by special greetings between all employees and sharing Eid delights and coffee. 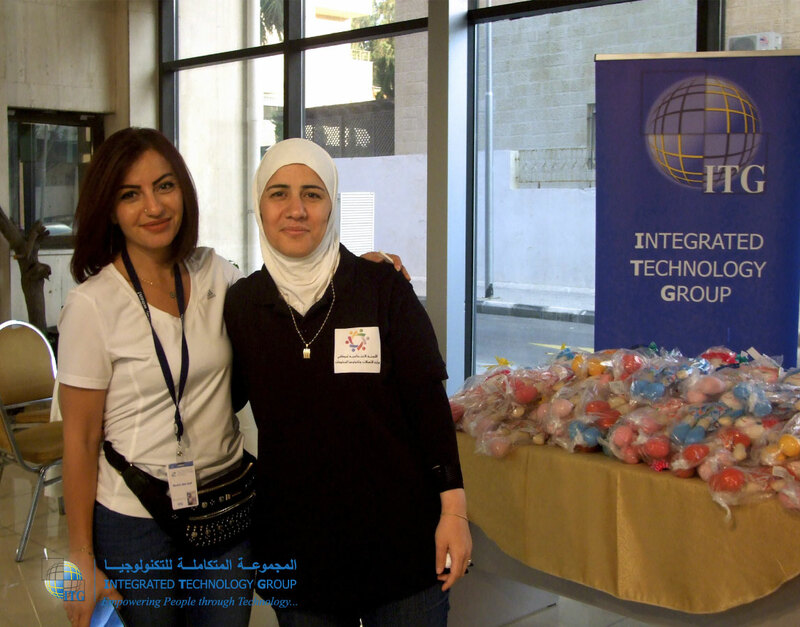 Based on its social responsibility and the principle of social solidarity, Integrated Technology Group (ITG) participated in distributing charity packages in cooperation with the Ministry of Information & Communications Technology (MoICT), The Public Security Directorate, and Government Officials. 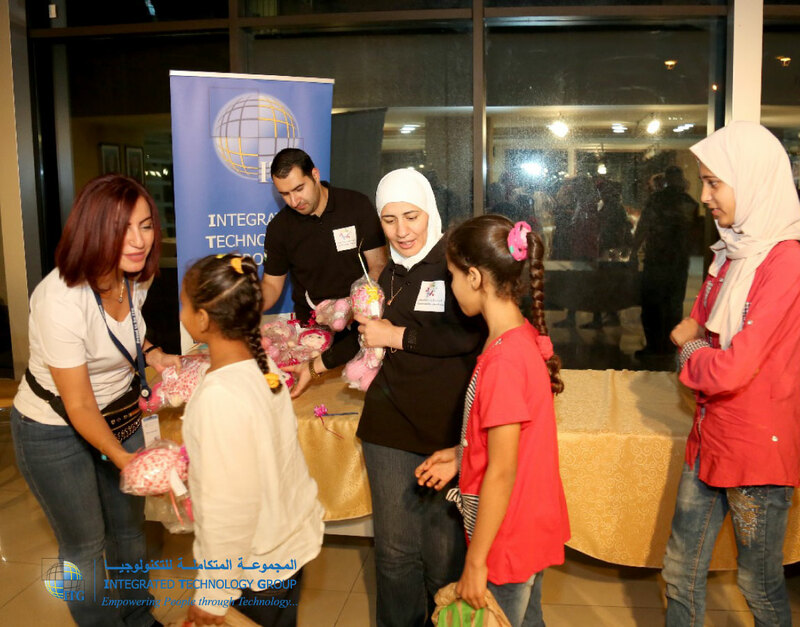 The packages were distributed in many areas in Jordan, including Ain al-Basha, Mahes, Al-Salt, The North Shouna and Madaba, in coordination with the Charities operating in these areas. 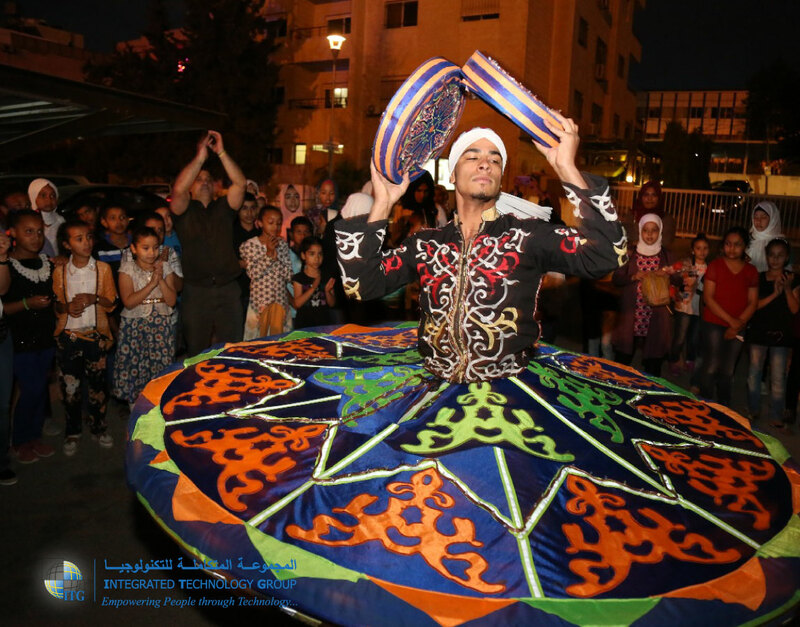 The holy month of Ramadan is an opportunity for (ITG) to continue its social responsibility through a series of philanthropic and humanitarian activities, through which it affirms its presence with all the segments of society. 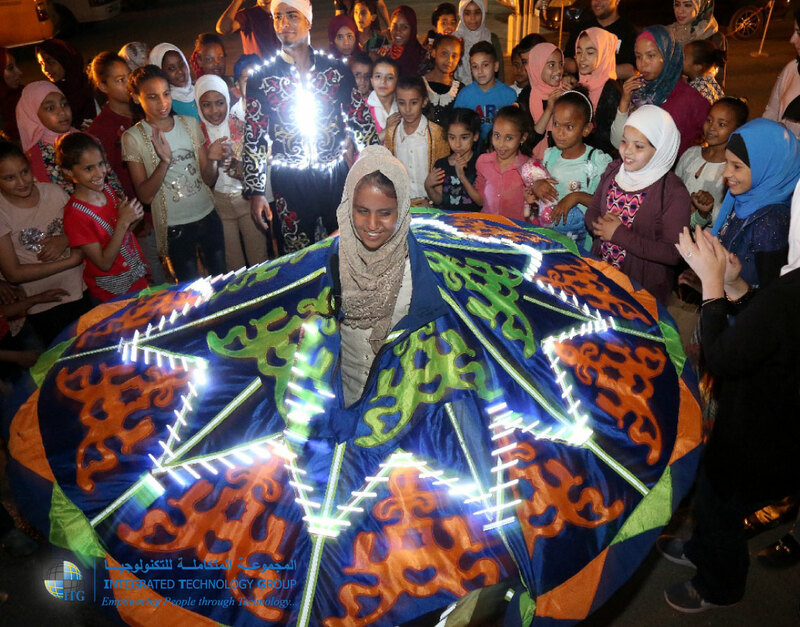 This year, the charitable activities in Ramadan included charitable packages distribution and the participation in organizing mass Iftars for orphans and the less fortunate. 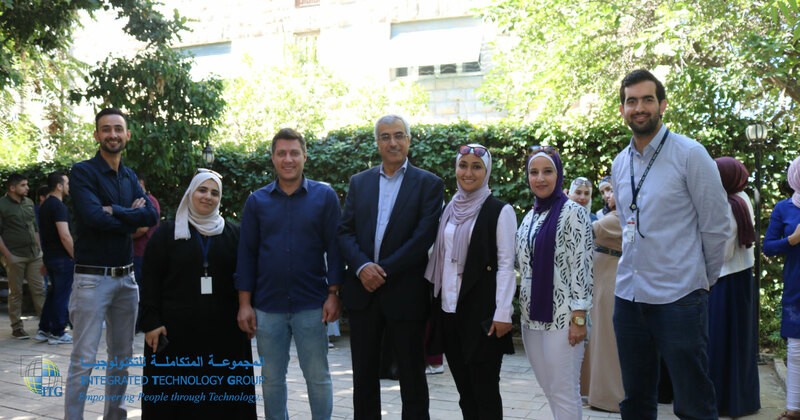 Integrated Technology Group (ITG) and the Ministry of Communications and Information Technology (MoICT) signed an agreement for commencing implementation of data integration between Companies Control Department (CCD) – Business Enabling Portal, Amman Chamber of Industry (ACI), and Amman Chamber of Commerce (ACC). 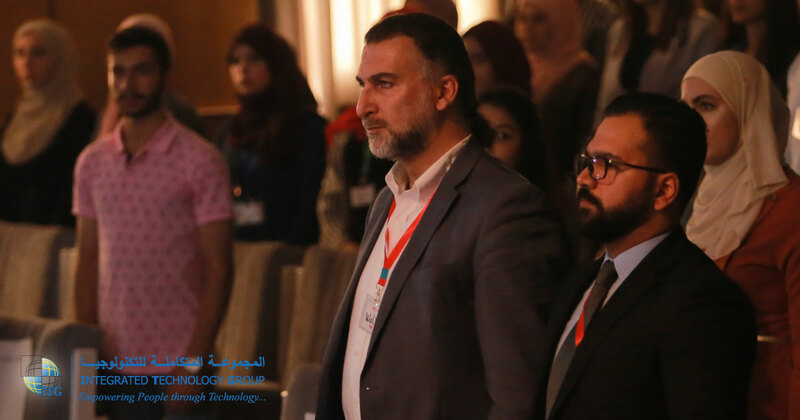 The project goes in line with the ministry’s vision to develop the investment sector and facilitate the services provided to the investors, whereby the integration will be achieved through the amendment of the membership system and the previously implemented system in both chambers by ITG; WaveERP®. WaveERP® is a comprehensive system for enterprise resource planning that facilitates the processes and information flow throughout the enterprise, in addition to achieving outcomes at a faster pace with more accuracy. 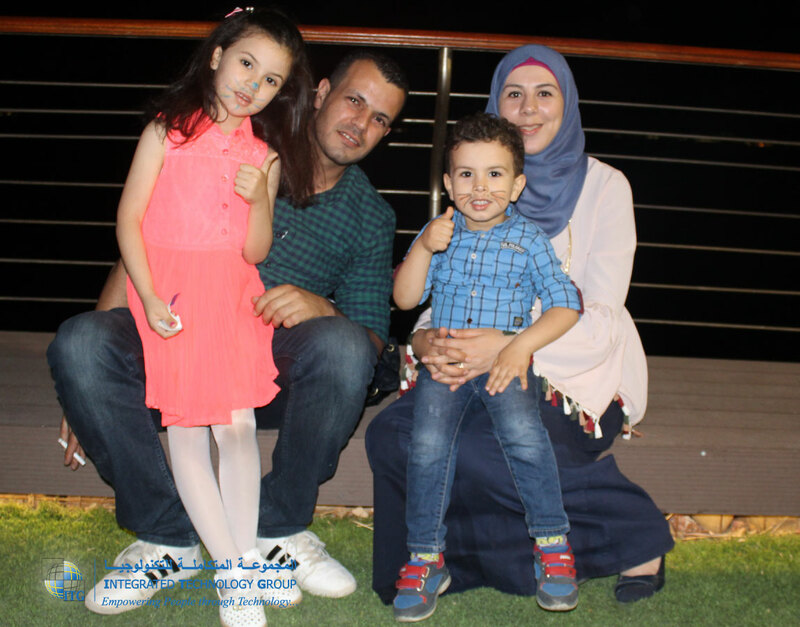 Moreover, it helps in making effective and profitable strategic decisions, which feeds into increasing the efficiency and productivity, in addition to saving time as well as money. 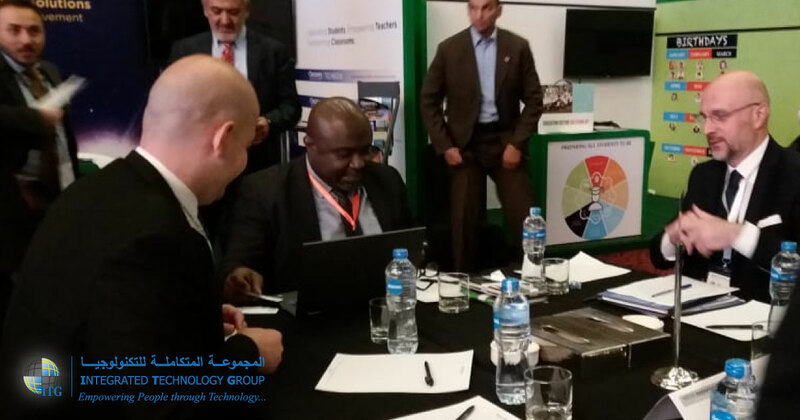 The Business Enabling Portal aims to enable investors to register limited liability companies LLC at the Companies Control Department (CCD) by replacing the multi-registration process currently implemented in the entities involved in the registration process (Companies Control Department (CCD), Amman Chamber of Industry (ACI), Amman Chamber of Commerce (ACC), Income and Sales Tax Department (ISTD), and Social Security Corporation (SSC)) through one standard form and registration process requiring only access to the portal and internet connection. 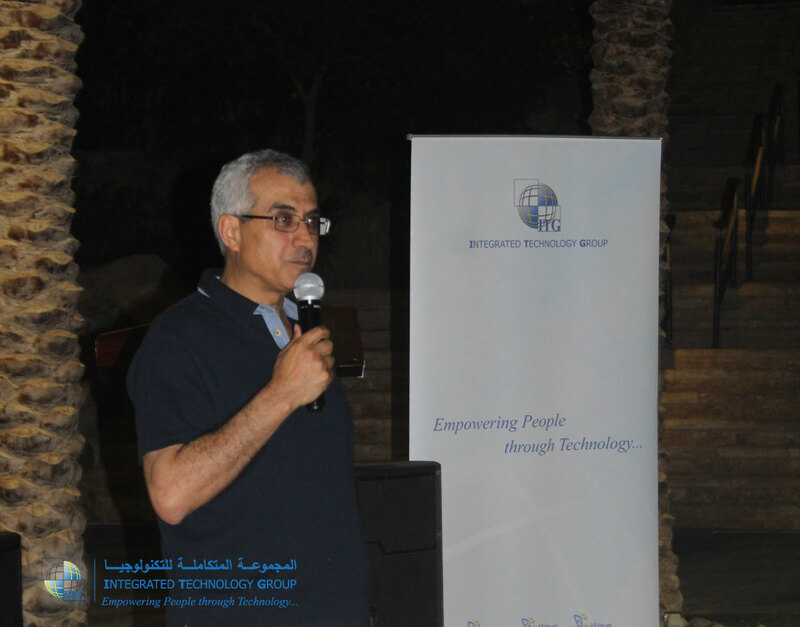 KPMG Jordan – a branch of KPMG’s global network of professional firms specialized in audit, tax and advisory services – signed a Memorandum of Understanding (MoU) with the Integrated Technology Group (ITG) – a global, leading company in the Information Technology sector, marked by its high quality and scalable e-learning, governmental and ERP solutions. 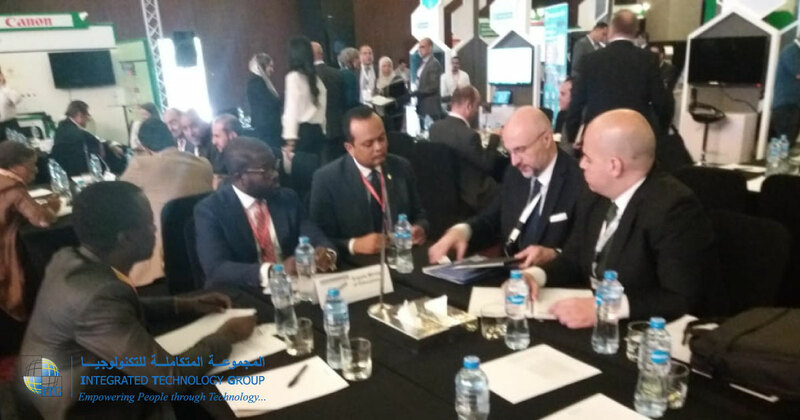 The MoU lays ground for mutual agreement regarding work relationships, simultaneously targeting cooperation towards discovering, opening and developing new markets. 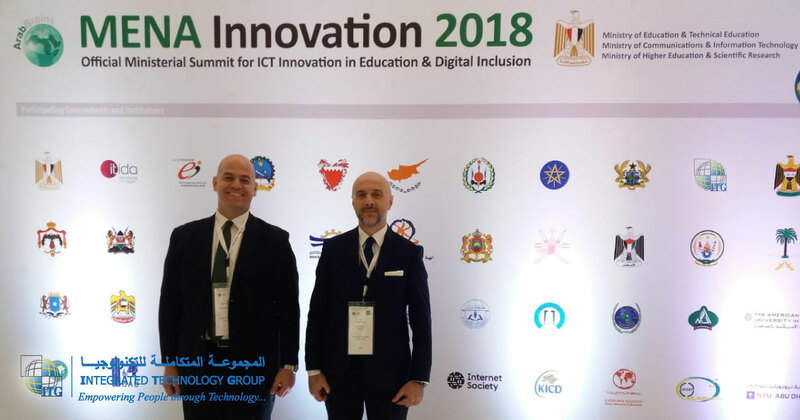 The agreement positions the base for mutual agreement between the two parties concerning their work relationship, at the same time strengthening their joint efforts and common interest in developing ITG’s product-related projects and activities. 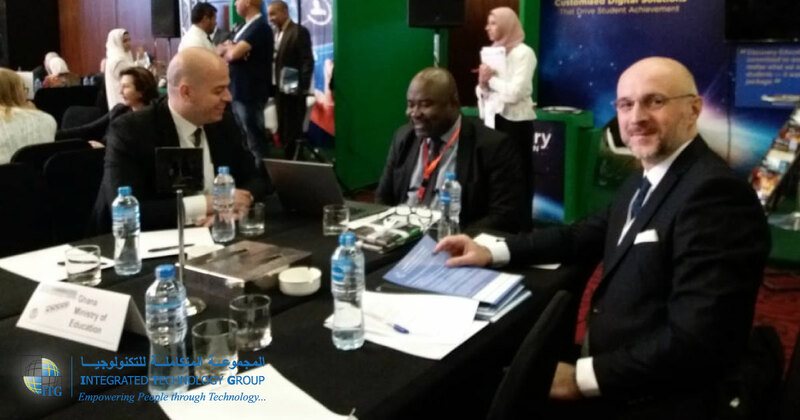 The memorandum was signed by KPMG Jordan’s Managing Partner, Mr. Hatem Kawasmy, and the President & CEO of ITG, Mr. Walid Tahabsem. 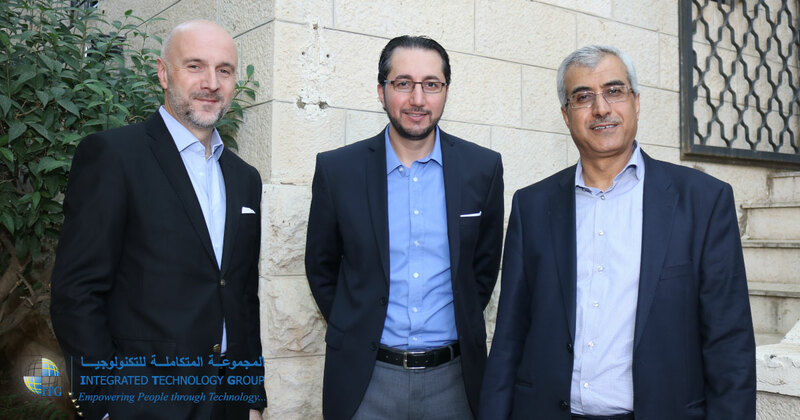 Mohammad Abudalo – KPMG Jordan Head of Advisory, Osama Abaza – ITG Business Development Director, and Islam Qasrawi – ITG Regional Sales Manager, accompanied the two. 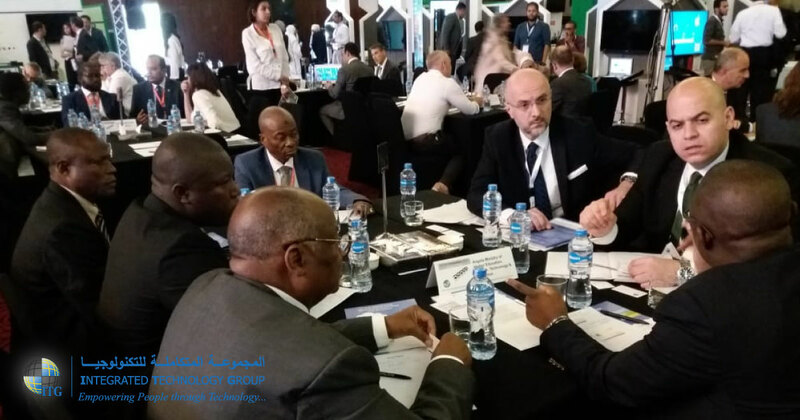 With a global network of member firms, KPMG provides audit, tax and advisory services to local, national and multinational organizations. 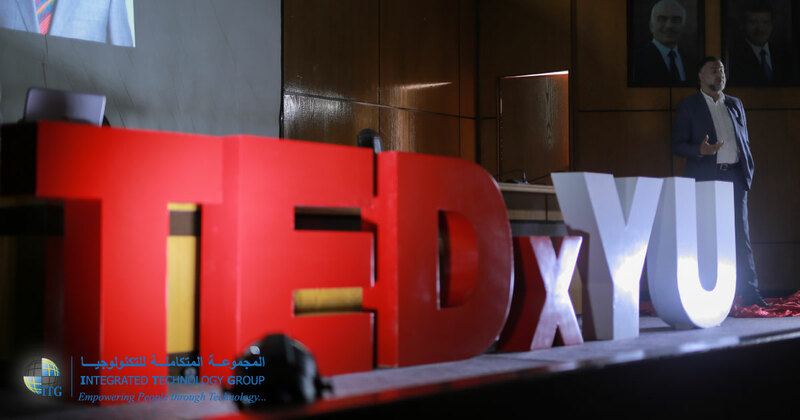 It also plays an important role in capital markets, working along a wide range of businesses to respond properly to opportunities and challenges, improve performance and increase value. 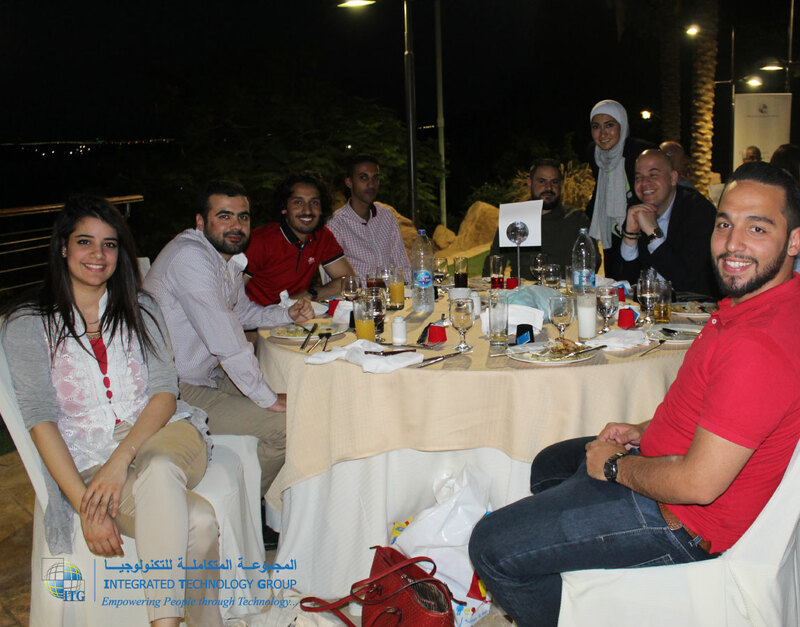 For more details about the conference, please read the press release. 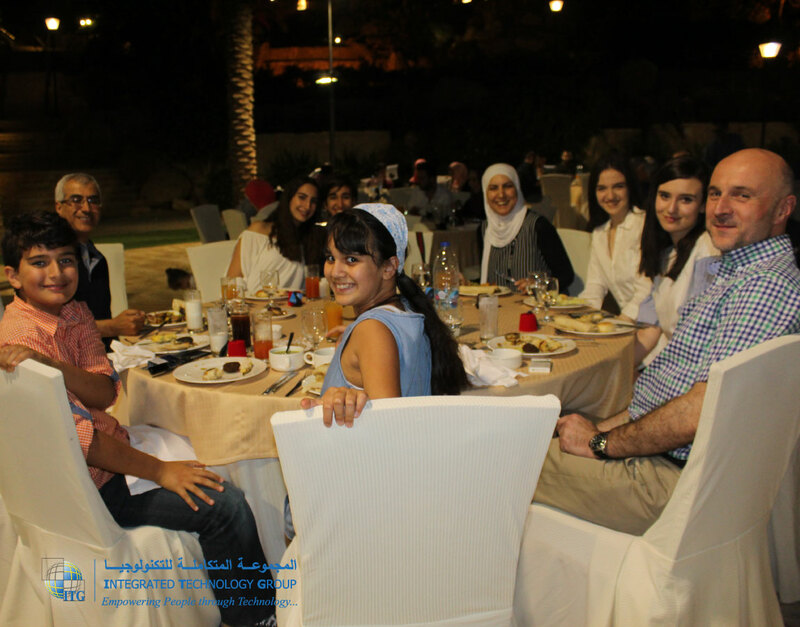 Celebrating the spirit of the holy month of Ramadan, Integrated Technology Group (ITG) organized a Ramadan Iftar with its employees in Marriott Dead Sea Hotel. 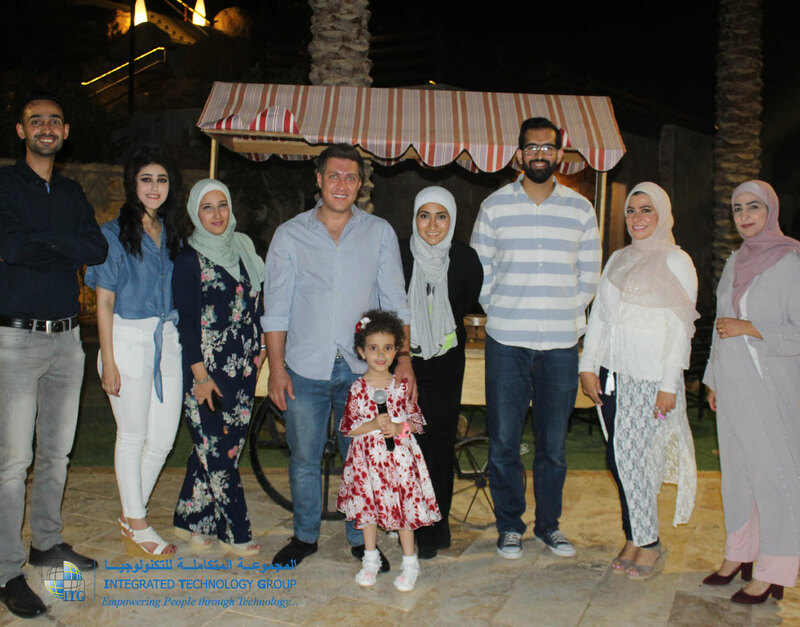 The initiative came from the belief of Strengthening social relations and durable communication among employees and as an opportunity to welcome new members. 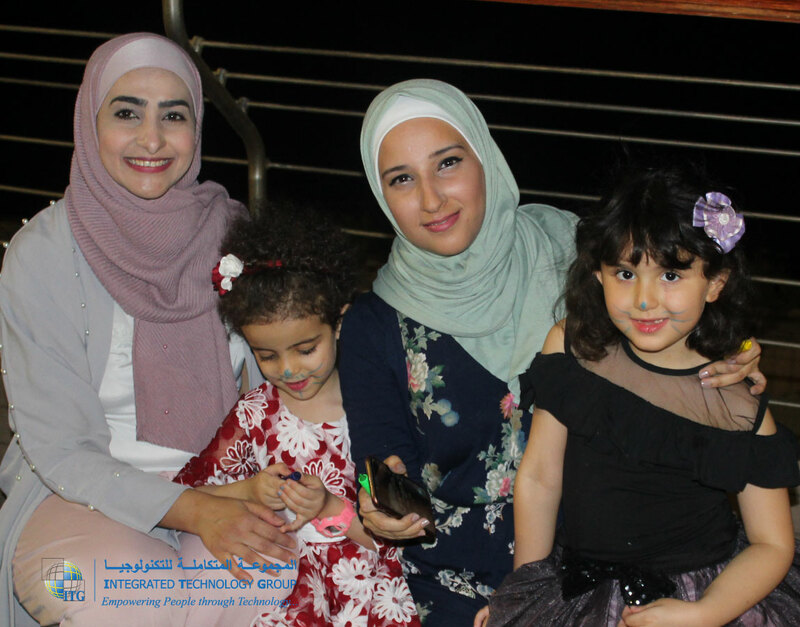 The event included Interesting entertainment activities which made it enjoyable for all employees and gave the opportunity to share an evening full of food, giveaways, and fun activities. 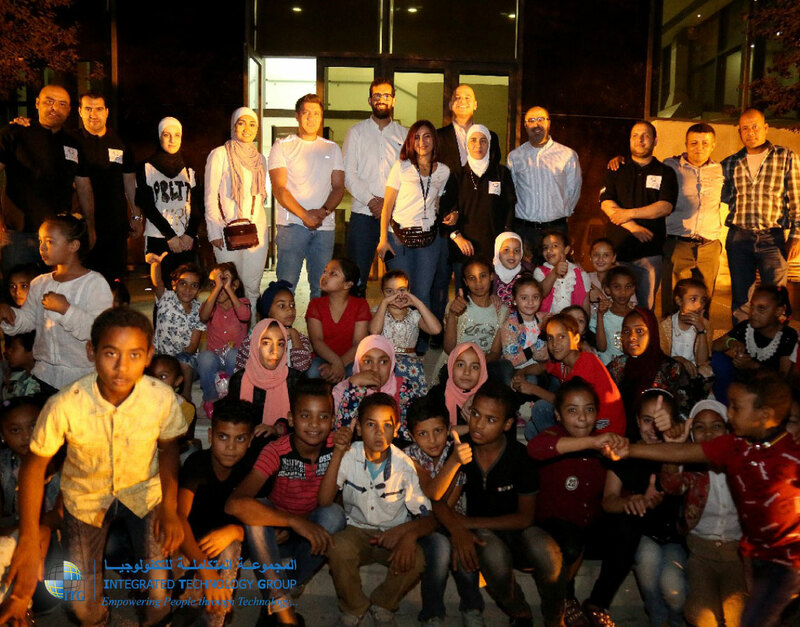 Under the patronage of the Minister of Information and Communications Technology, Her Excellency Minister of Public Sector Development Mrs. Majd Shweikeh, Integrated Technology Group (ITG) participated as an official sponsor for the “Belkhir Najoud” campaign for orphan children, organized by the (MoICT) on Thursday, May 31, 2018 at the Ministry’s headquarters. 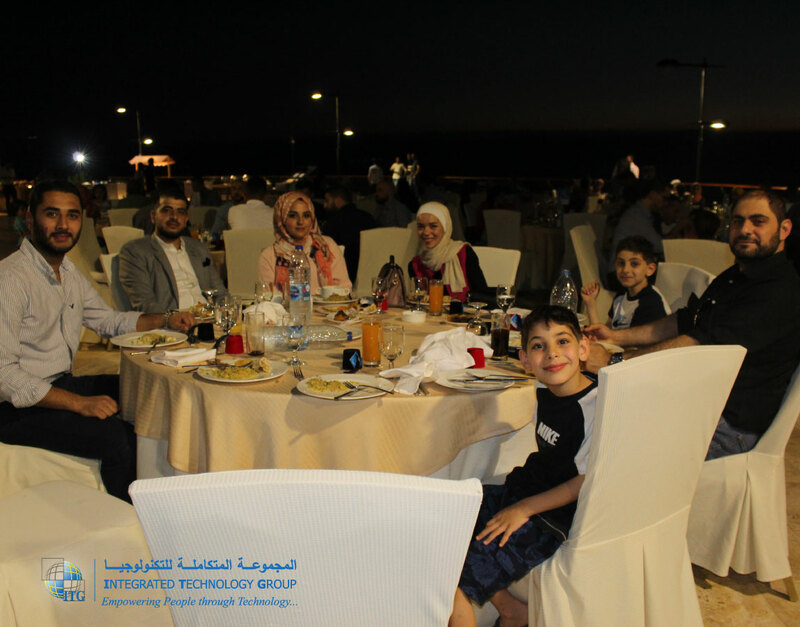 The participation of (ITG) in this charity Iftar for orphaned children is due to the social responsibility of the company towards this dear group, in order to communicate with them and bring happiness to their hearts especially in these Blessed days. 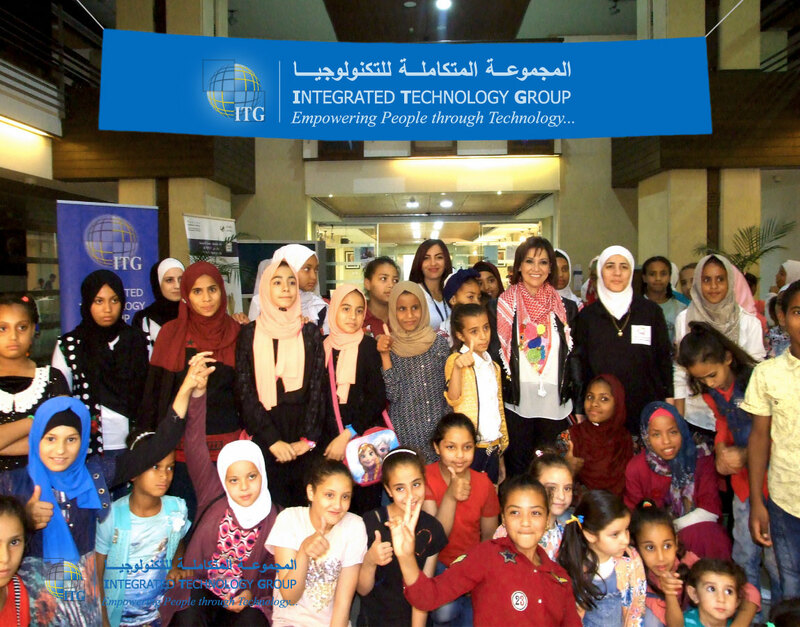 (ITG) also aims to adopt a strategy of cooperate social responsibility annually, especially in Ramadan, where it always seeks to participate in such campaigns to develop and enhance the spirit of cooperation, communication, compassion, and a sense of community among its employees, noting that the month of Ramadan is a blessed occasion and is a chance to draw a smile on children faces and bring happiness to their hearts. 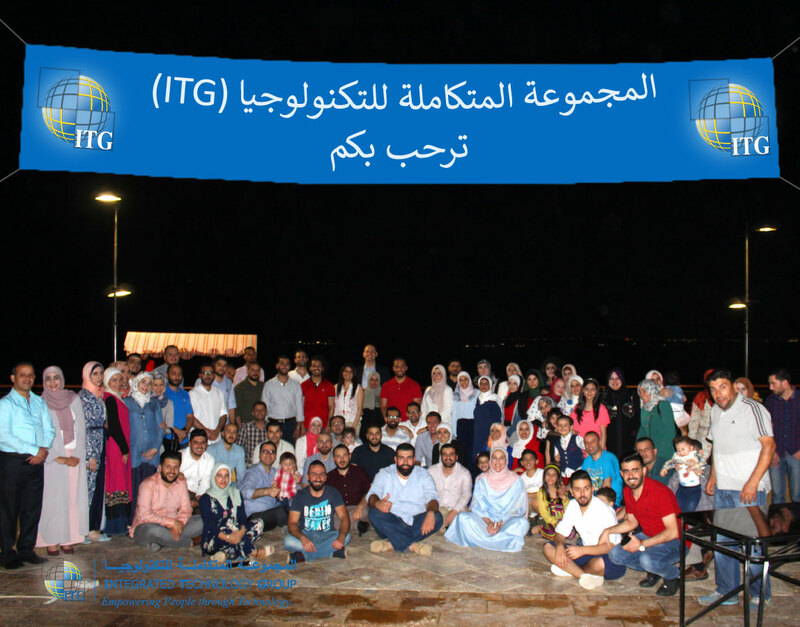 At the end of the celebration, which included a lot of entertaining activates, (ITG) employees distributed gifts to children’s and their families.